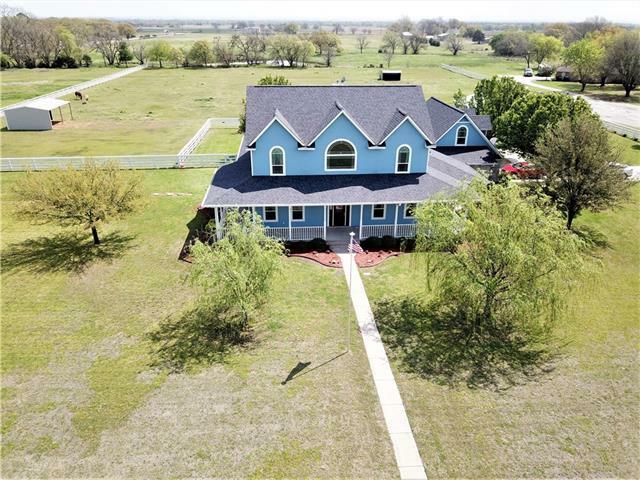 All Pilot Point homes currently listed for sale in Pilot Point as of 04/24/2019 are shown below. You can change the search criteria at any time by pressing the 'Change Search' button below. 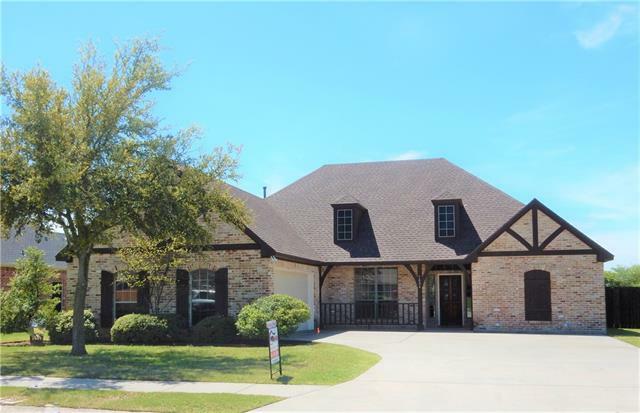 If you have any questions or you would like more information about any Pilot Point homes for sale or other Pilot Point real estate, please contact us and one of our knowledgeable Pilot Point REALTORS® would be pleased to assist you. 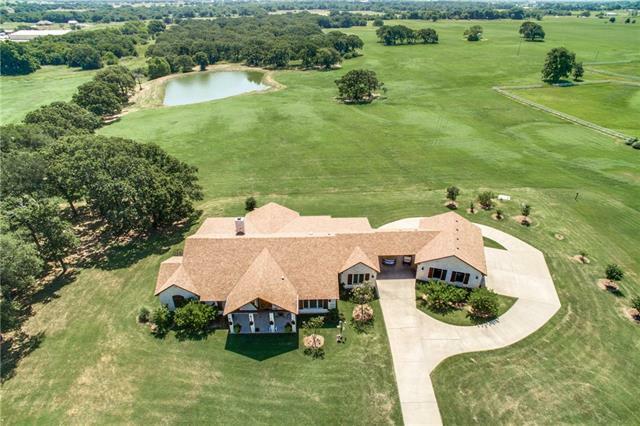 "Private, high quality 2008 custom home and ranch with horse facilities built on 166 acres minutes north of the Metroplex. Wooden beams, pella window, intricate woodwork, geo-thermal system and much more. Guest house and 4-stall barn with all the amenities plus 2 individual loafing sheds and equipment buildings. 3 ponds, woods and improved pastures for gazing or production baling. Private landing strip. Property in EJT of Aubrey and Pilot Point, Ag Exempt." 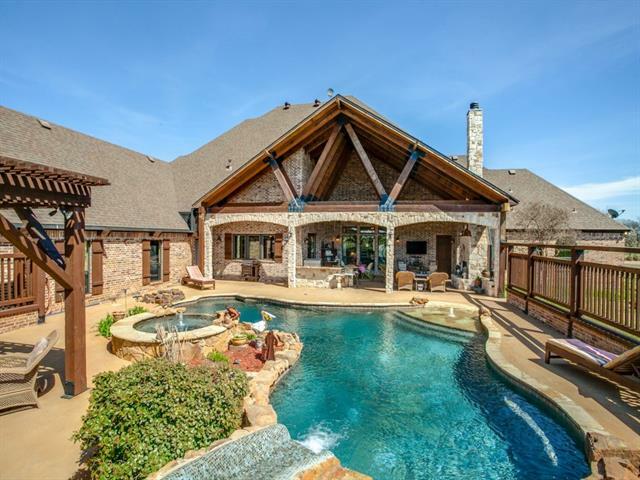 "This luxury ranch offers all the bells and whistles! Gorgeous interiors and elegant finishes will greet you at the door, huge master suite and gourmet chef's kitchen will not disappoint. Beautifully landscaped grounds and gorgeous resort-style pool are perfect for lavish parties and events! Horse lovers will enjoy the Kentucky-style heated barn and care facilities. 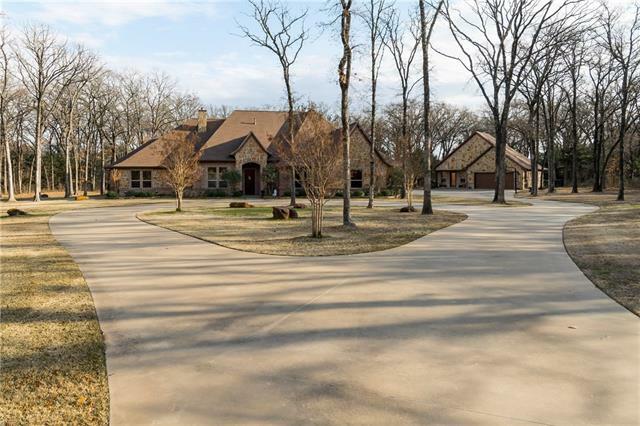 Property backs up to miles of horse trails on the greenbelt and state park beyond. Luxury features include a tornado room+security s"
"Located in a FABULOUS area! 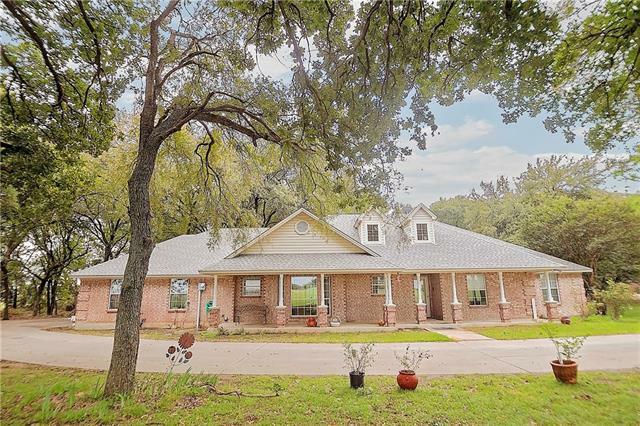 Beautiful ranch in Horse Country USA surrounded by lovely ranch properties, House sits on a knoll and has a awesome drive up appeal. 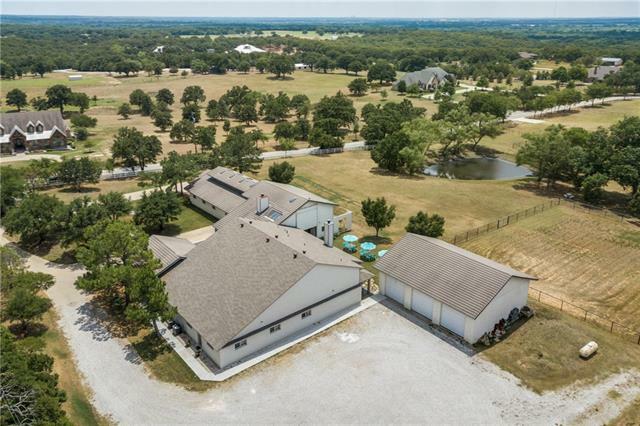 Has a spacious home with lots of windows and great views, Beautiful hardwood floors, open living, swimming pool, covered entertaining areas, tennis court, 10 stall show barn, with wash rack, 125 X 175 covered arena, six turnouts pastures with trees for shade. Home is custom built, super comfortable and spacious. Lots of room to roam "
"COUNTRY PARADISE!!! No expense spared in this 4300 Sq Ft custom built home. Some of the extras are a fireproof gun safe-storm room, knotty alder custom cabinets, 1300 sq ft garage, extra large master bathroom and closet, just too many extras to list them all. New large workshop and updated separate living quarters with bath and kitchen. A beautiful horse property located between desirable Aubrey and Pilot Point with new fences and a breath taking 2 acre pond stocked with Bass, Catfish and Cra"
"Set on 8+ prime acres with expanded frontage along US Hwy 377, this choice property offers a spacious custom home, guest home & several outbuildings in an optimal location where visibility and accessibility are beneficial. Ideal for a multitude of uses & located in the immediate area that already offers a variety of other businesses, the property is very close to a proposed major east-west connector highway per the 2017 Denton County Thoroughfare Plan. Improvements include a 4,000+SF single-stor"
"Rare Opportunity to own 40+ acre Equine Property in the heart of Horse Country. 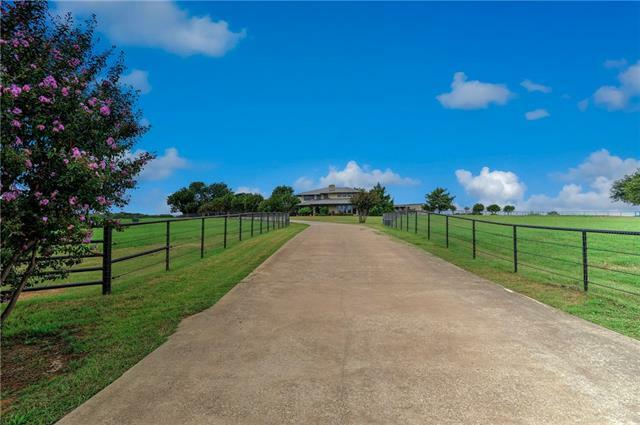 Located on Friendship Rd this property offers over 30 acres of coastal Bermuda & has been home to the Circle S Charolais Ranch for over 25 years. It has been improved with multiple barns, workshops, pipe & cable fence, asphalt owners driveway, & crushed granite driveway for trucks & trailers. A seasonal sandy bottom creek runs the width of the property & into the 2 acre pond. The insulated workshop closest to the hou"
"A Very inviting setting as you drive up the pipe and cable fenced drive with horses grazing in the pastures. This Equine facility has a 10 Stall Show Barn, Covered round pen, hay barn, extra housing and several separate pastures with loafing sheds. The home boasts of and open living area with fireplace, over-sized windows and 2nd living area, all with a fun rustic appeal. This property has it all with its location and facilities along with great sandy loam soil. 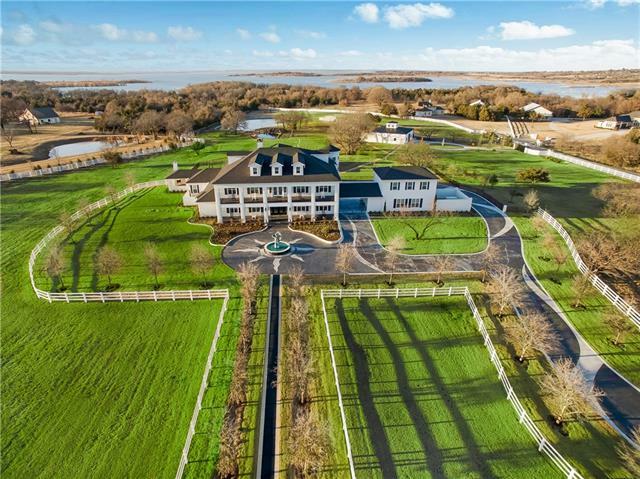 This unique home's panoramic v"
"Country living on this amazing exec home w 13+ ac. Imagine your family taking walks to the creek & pond to go fishing. The 77x30 shop will keep anyone busy w hobbies-chores w separate elec. Outdoor covered LA w FP, kitchen for outdoor entertaining while enjoying the pool & overlooking rolling terrain. Interior features open concept w scraped HW floors & windows overlooking the backyard. Kitchen w dbl oven, ice maker, subzero refrg, cntr island for holiday entertaining. Owners suite include"
"Exquisite custom 4br, 4 and half bath home on 5ac lot in the prestigious Timberlake Trails gated community. Bordered by Corps of Engineers land and Isle de Bois State Park, this immaculate home offers a stylish design for entertaining with it's open living and kitchen area sharing a vaulted ceiling with custom hand scrapped wood trusses & floor. Granite & Stone help complete the kitchen that's equipped with commercial grade appliances. 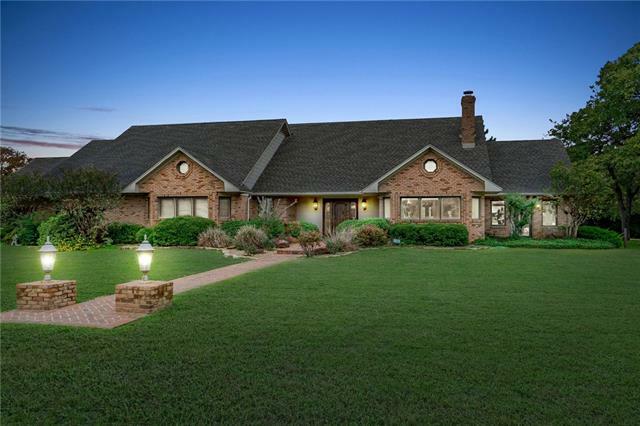 The treed backdrop completes the backyard with a custom sal"
"This ranch home is everybody's dream come true, Sitting on 6 acres this magnificent home shows pride of ownership with beautiful vaulted ceilings and floor to ceiling brick fireplace. Home has a wonderful layout with 4 bedroom's to fit a king size bed in every room. Multiple Living rooms, Multiple dining rooms. Fully remodeled kitchen with Double ovens, Cooktop, Granite, and custom cabinetry. Oversized master bedroom with additional study nook, Master bath offers shower tub combo. 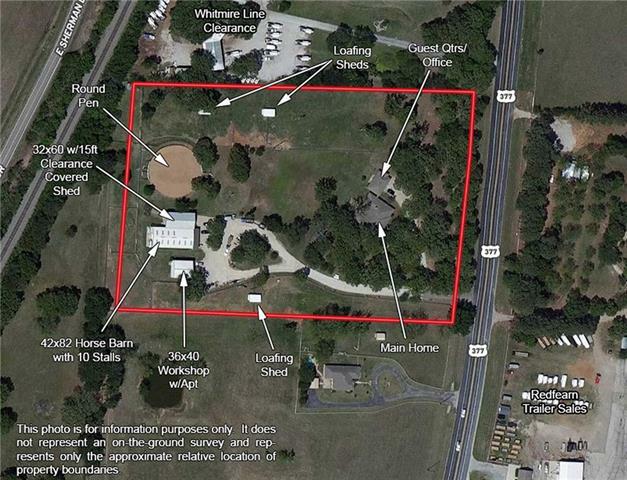 Large closets "
"Stellar location 1 mile from Lake Ray Roberts & State Parks on 4.87 acres. Saint John is considered the Rodeo Drive of Pilot Point. Park-like roads of horse breeders & equestrian center. Home overlooks a picturesque pond, trees & gardens. 5 horse stalls are part of the main home w unique views from the upstairs windows. 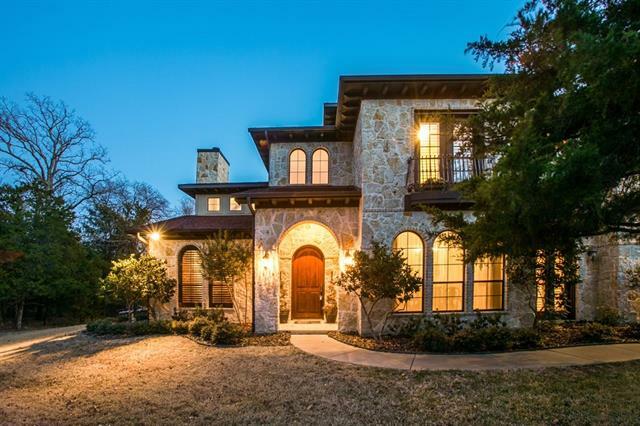 This property boasts of 12,500 sq. ft. under roof space of which 7,306 sq. ft. is air conditioned. 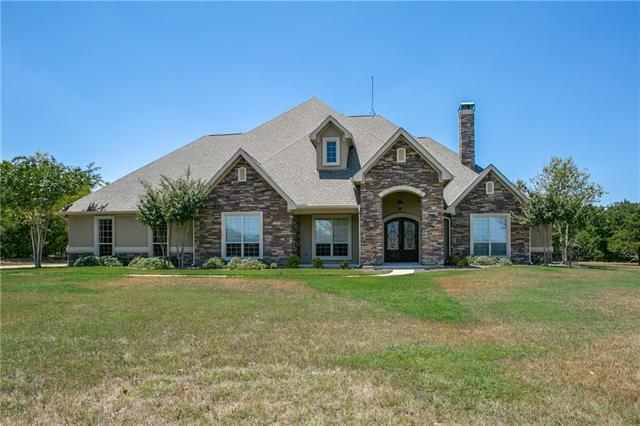 12 ft tall ceilings, room sized master closet, guest quarters, 2 fireplaces, a "
"Stunning custom built home in Timberlake Trails on two acres! Neighborhood has direct access to the trails at Isle de Bois State Park! Study with french doors and warm wood floors. Dream kitchen with Kitchen-Aid Stainless appliances, 4 Burner gas cooktop with grill, double ovens, microwave-warming draw combo, 42 inch built-in fridge, Teppanyaki grill and veggie sink on the island, wine & bev fridge and trash compactor. Spacious family room with fireplace. Master suite with his & hers TX size dre"
"Unbelievably stunning Tuscan style home situated on a very private lot in Butterfield Junction! 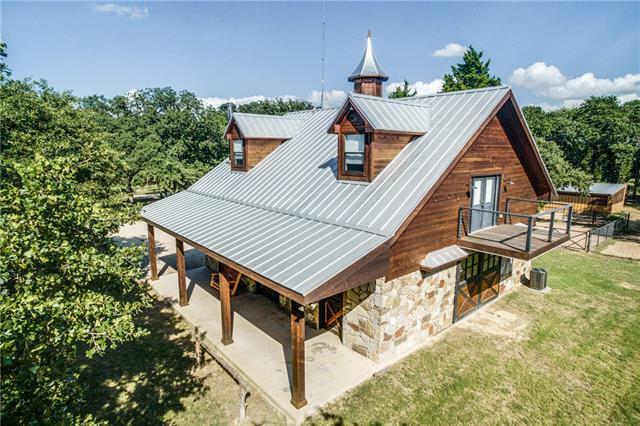 Property is on 3.48 acres of treed rolling terrain surrounded by old oak growth forest on the cross-timber region of North Texas. Beautiful private pool and covered patio, Hardwood floors, Granite counter tops and Comes with the with an awesome chicken coop. 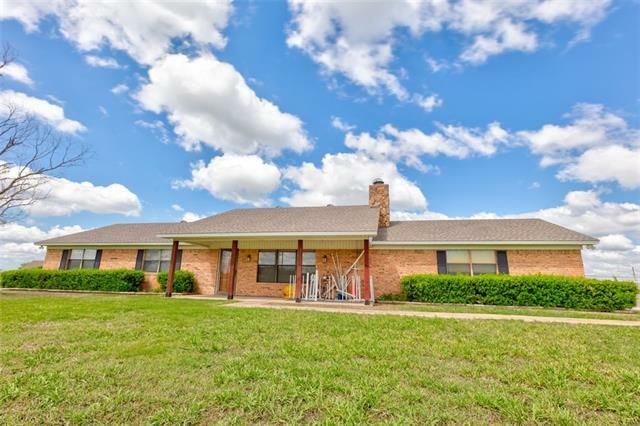 Property is located in the middle of Horse Country. The subdivision is adjacent to state parkland on two sides with easy access to boat launch, "
"Saddle up and Ride for hours on equine trails at Lakes edge in this Unique Equine subdivision with Direct Access to Lake Ray Robert Horse Trails.Custom Barn by Clayton Boyd Ind.with amazing Guest living quarters with LG balcony that overlooks huge oaks,Granite in Kitchen and Bath.Stainless Steel appliances,Hardwood flooring Vaulted ceilings and amazing views.3 LG 12 by 12 stall barn with wash rack,LG custom tack room w alder wood cabinets ,LG loafing shed 24 by 22 with potential for more stalls." "Gorgeous New Contruction Open Concept Home In Pilot Point! 4 Full Bedrooms Downstairs*Wood Look Tile Flooring In All Common Areas*High Soaring Ceilings In Living Area With A Cozy Fireplace*Gourmet Kitchen With Island And Breakfast Bar Sitting, Custom Cabinets, Stainless Steel Appliances, Walk In Pantry*Full Utility Room With Pre-Wash Sink*Stunning Staircase*Huge Master Bedroom Upstairs With Elegant Ensuite & Walk In Closet*Media Room & Exercise Room Upstairs* Also offered with 1 acre at $460,000"
"Enjoy the wrap around front porch on a tranquil 4+ acre property in the desirable Running Springs subdivision. Plenty of room for entertainment with two living areas & two dining areas. Downstairs master suite with lots of windows. Upstairs you ll find 3 bedrooms, 2 bathrooms, and a bonus room. Upstairs bathrooms include 1 Jack & Jill bath and 1 ensuite bathroom. Kitchen boasts granite counter tops & plenty of counter space. This well maintained home features recent replacements of HVAC'"
"COMMUTERS DREAM! 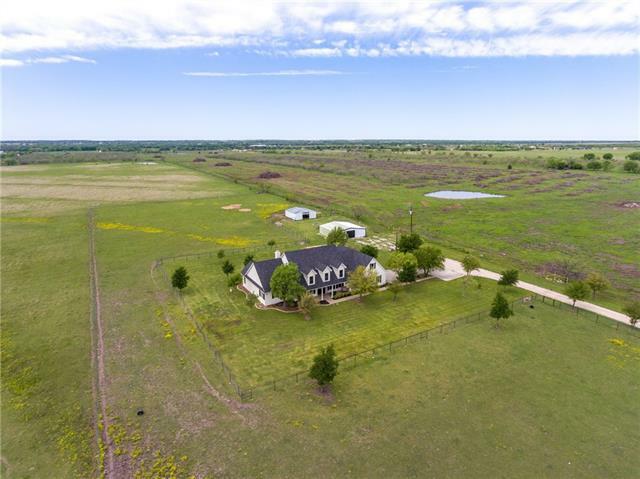 COUNTRY LIFE JUST OFF 380 TOLLWAY! 3-2 BRICK HOME with 1-1 BRICK GUEST HOUSE on 5 lovely pipe fenced acres with 5 stall barn or shop. Both homes lovingly updated with AMAZING COMPLETELY NEW KITCHEN with quartz & all new cabinetry, appliances, fridge stays! , open floor plan with new lighting, LOVELY NEW BATHROOMS, tons of storage. Guest house provides rental income or can be fantastic home office, mom in law or nanny quarters, etc. Currently AG EXEMPT!! POND, WELL & ARENA. " 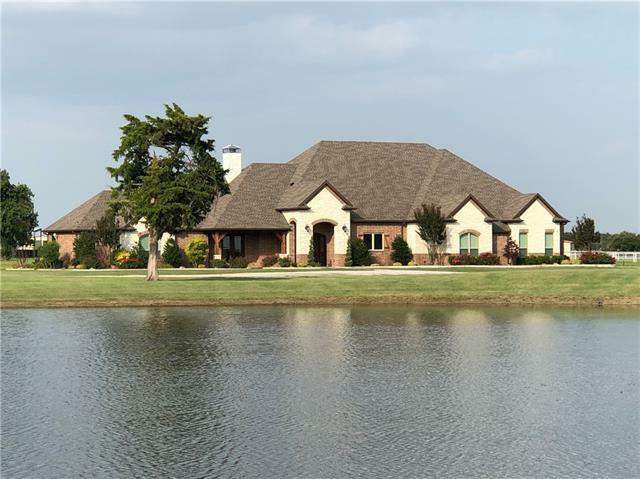 "Gorgeous New Contruction Open Concept Home In Pilot Point on 1.25 ACRES! 4 Full Bedrooms Downstairs*Wood Look Tile Flooring In All Common Areas*High Soaring Ceilings In Living Area With A Cozy Fireplace*Gourmet Kitchen With Island And Breakfast Bar Sitting, Custom Cabinets, Stainless Steel Appliances, Walk In Pantry*Full Utility Room With Pre-Wash Sink*Stunning Staircase*Huge Master Bedroom Upstairs With Elegant Ensuite & Walk In Closet*Media Room & Exercise Room Upstairs* Also offered with 5.25"
"A MUST SEE! 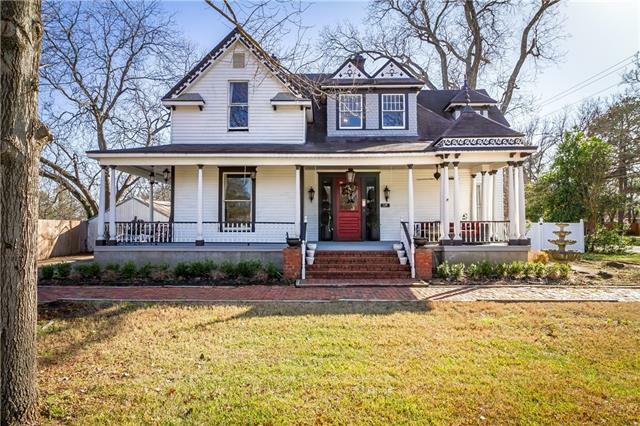 Completely updated Victorian home looks like a home featured in a Magazine. A perfect mix of contemporary upgrades and original features such as: Original wood flooring,wood ceilings, and wood built in cabinetry, contemporary kitchen with custom cabinets, two sinks, 2 dish washers, granite countertops, commercial grade stove, wood ceiling and decorative lighting. Two living areas with original wood pocket doors, fireplace in living and in dining area. Master bathroom with cast iron c"
"Beautiful energy efficient home with spacious bedrooms and a huge, but cozy living room with angled fireplace with painted stone facing. Vaulted Ceiling in Entry Way, Formal dining room has elegant tray ceiling and pocket french doors. Vaulted ceilings in the kitchen and master bathroom lend an open, airy feeling. The divided light transom windows allow natural light into the home. The pentagon windows in the kitchen & bathroom not only allow natural light but add a great style to the rooms. M"
"PUBLIC NOTICE YOU MUST SCHEDULE AN APPOINTMENT TO TOUR THIS OCCUPIED PROPERTY. Any persons caught Driving or Walking property will be trespassing. LISTED PRICE IS ONLY SUGGESTED OPENING BID AVAIL FOR PURCHASE ONLY AT PUBLIC REAL ESTATE AUCTION SATURDAY, MAY 18TH 11AM Registration opens at 9AM 30 ACRES FIVE TRACTS will be SOLD INDIVIDUALLY. 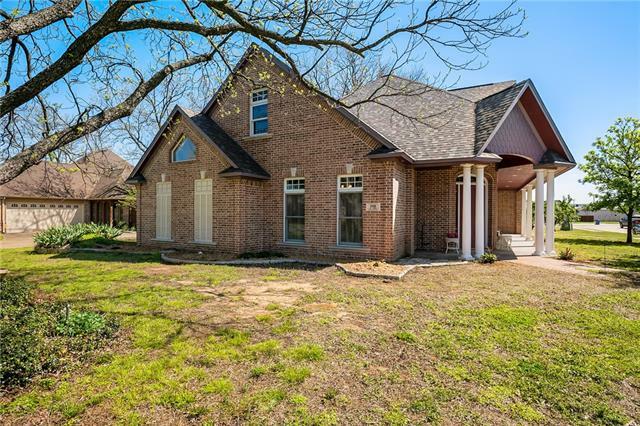 This is TRACT TWO of Five Featuring 7.5 Acres, 3BD 2.5BA Brick Home, sauna in Master BA, new roof in 2018, needs TLC inside, 7 stall MD Barn w tack, feed roo"
"You'll be ready to move right in once you see the HUGE 24 x 13 Master Bedroom & Bath with Jacuzzi tub, tile shower w-seat & large walk-in closet! Office features wood beamed ceiling, wall of custom built-ins & french doors. Large Kitchen has beautiful custom cabinetry with island, buffet, plate rack, appliance garage & more. 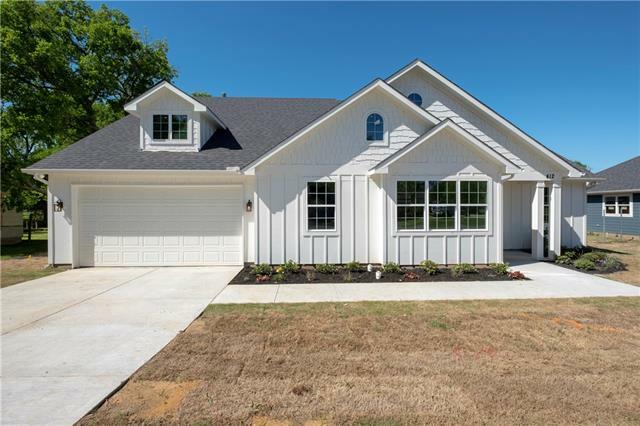 Other features you'll love are wood ceiling in Dining, crown molding throughout, wood floors in Living, Study & MBed, mud bench in hallway, gorgeous fireplace, over sized ga"
"New construction, ready to move in! Light and bright modern farmhouse-look with designer colors, fixtures and lighting. 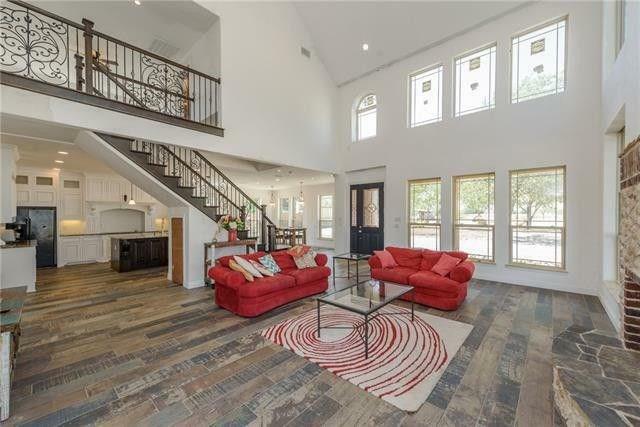 Stunning living room with vaulted ceiling and pretty fireplace opens to gourmet kitchen with large island, stylish back splash, quartz counter tops, abundance of cabinetry and spacious dining area. Beautiful master suite includes an over sized tiled shower and two walk in closets. Two additional bedrooms and second bath with built in shelves. Large study or office with french d"